That should be the IFV variant. looking at the position of drive sprocket..hmm Front mounted engine. That almost looked like automatic mortar 2B1 and not a cannon. Werewolf wrote: That almost looked like automatic mortar 2B1 and not a cannon. can u please post the photo at 800x600 scale? George1 wrote: can u please post the photo at 800x600 scale? Right click the image you want to post, then select "view image" or whatever, it'll open a new window. Then right click the rescaled image in the new window and select "view image info", this will open a new window. Under dimensions, this particular image says: "1,500px × 1,125px (scaled to 849px × 637px)"
Go to the forum window, click the "insert an image" button, paste the url, and under width and height, paste the scaled numbers, 849 x 637. That way the image isn't squished and is reduced to a reasonable size. That's how I do it, I'm sure other posters have their own ways. I use Firefox, your browser may be different. Probably extra armor because of the front mounted engine. Will russia be so open and naive to show its new APS on Armata or Kurganetz or will they remove any APS system along with Radar to keep it secret as long as necessary? Werewolf wrote: Will russia be so open and naive to show its new APS on Armata or Kurganetz or will they remove any APS system along with Radar to keep it secret as long as necessary? The engine and transmission placement means the glacis is going to have to be thinner. The Merk IV has the same problem. To compensate, they added a spaced armor module. Two separate units on the same side? It's the Chinese nuclear tank from C&C: Generals! All it needs is a second barrel. Man this thing is just excessive. Now I can see why they cancelled the project. 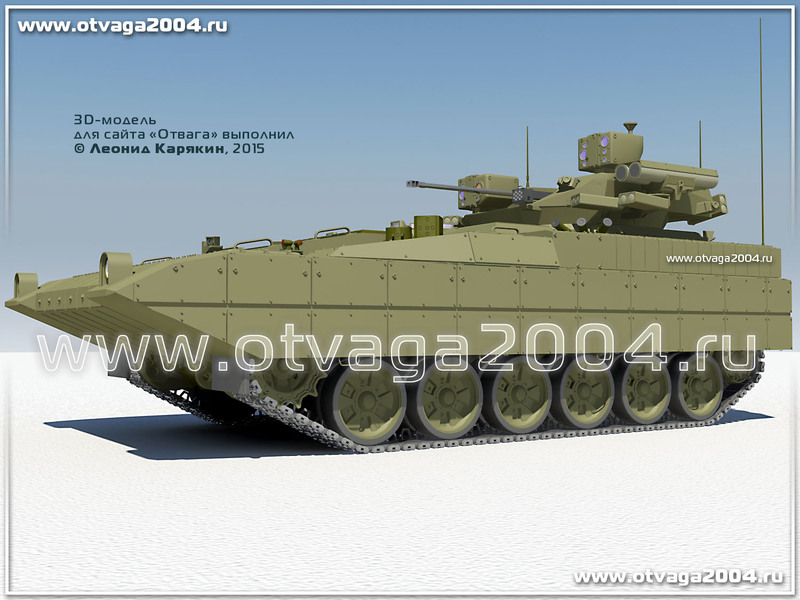 The current Armata concept is a lot more sensible and cost-effective. Holy Shieetttt!!!! i come here after a week of school and find this!!! armatas, kurganets and even T-95. mein gott weinachten came early this year!!! one of the three is enough fap material to last me through the holy week but three, om. I saw most of tanks have their weight concentrated to middle or back. Especially to armata i saw is concentrate to back. How that affect the adherence to road? Most important when reaching a hill. Or close to vertical pieces of road. I do believe that this is an entirely different turret and not the MBT turret at all. We know that the chassis are unified, but all people jumped immidiatley to the conclusion that this is T-14 MBT due the 7 road wheels. To me it does not represent the concept. The turret seems rather small for autloader with after turret bustle feeding system. The concept on T-64/80 and T-72/90 was two seperated ammunitions which are made of paper like material that are highly flammable, due this kind of ammunition the entire internal volume had to be reduced, meaning no fuel inside the vehicle, no pipes inside that could catch fire and end fatal for tank and crew. This turret seems tall, but rather shorter than expected and i don't think it houses a horizontal autoloader but a vertical one from the hull of it with seperated ammunition and propellant, from the looks of it, the chassis is larger than T-72/90 which means the fuel is back inside of the chassis which means non seperated ammunition, which probably means hard case ammunition will be used. That is the reason i doubt that this is T-14 turret. use of hard cased (and i assume unitary as well) ammo is pathetic step backwards. the current trend is liquid propellant/ ETC guns and i believe next iteration of the 2a82-1m is going to be just that. a brass case would be unnecessary and would even impede performance. besides, there is plenty of room for 32 shells and their propellant especially to have their own fully covered cassette in the AL compartment. What trend? There is not a single gun on tanks that uses liquid propellants. victor1985 wrote: I saw most of tanks have their weight concentrated to middle or back. 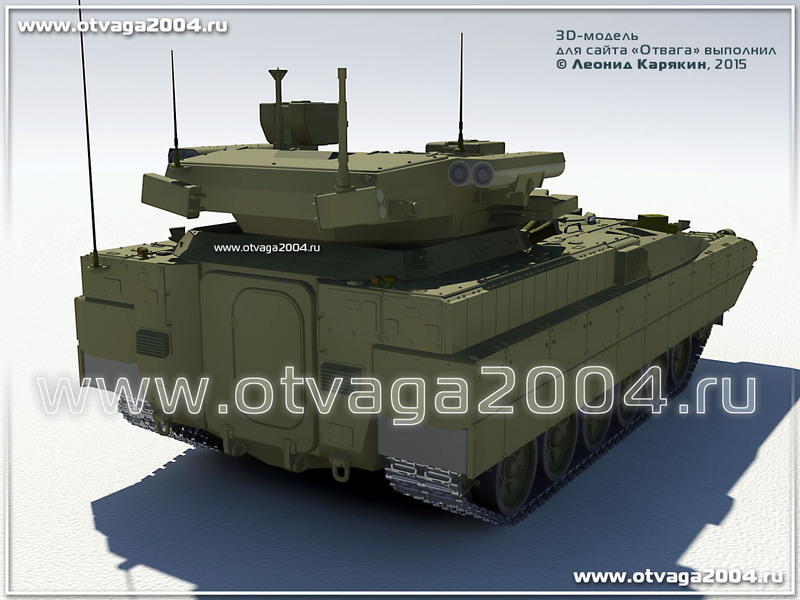 Especially to armata i saw is concentrate to back. How that affect the adherence to road? Most important when reaching a hill. Or close to vertical pieces of road. i think its opposite- the MBT at least looks to me to be a bit front heavy, what with the the big support devices on the the two front rollers. most MBTs are front heavy anyway- the massive turret and now frontal hull armor would always outweigh the engine at the back. and afaik Merkava 4 which defo takes the cake for front heaviness performs well when going uphill- the extra weight seems to add more traction at the front, making the climb easier. well its definitely on the christmas list for next gen tanks- esp. now this mother just exploded in the net. I'm curious about autoloader layout. Given the longer penetrator length envisaged for Armata or T-95..the T-72 or T-80 carousel may no longer be used so other layout must be used. One option is to use bustle OR carousel autoloader similar as old US M1TTB unmanned turret prototype. Such layout is efficient as it stores more rounds than T-72 layout and allow around 1.1 meter vertical space for rounds BUT.. the loading sequence somewhat more complex than T-72 or T-80. Might affect fire rate in my view. 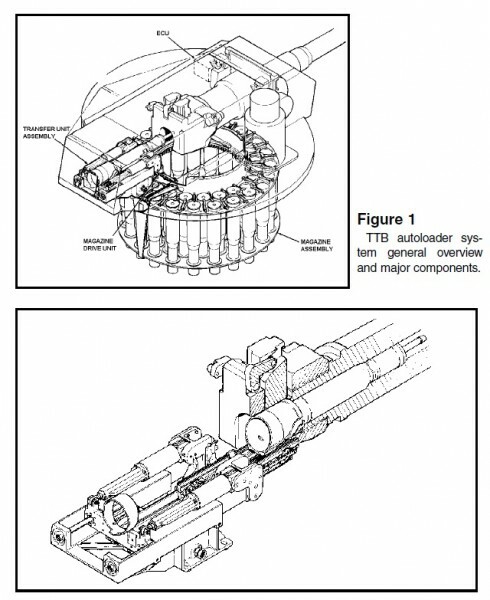 But what whit a magnetic autoloader? Or like in the pistol whit a spring that push all row of missiles. Also one problem is time of fill the tank whit projectiles. In war time is efficient to have less time between empty munition and fill and go back to fight.